Developmental Movement Therapy is revolutionary. This isn't a boast or an idle thought; it's entirely true. Our understanding of how children develop has been turned on its head over the last few years. Sadly, many medical quarters still dismiss all of the research and potential benefits that developmental movement therapy can provide to children, and adults of all ages. What is Developmental Movement Therapy? Children use all their senses to learn: sound, sight, touch, taste, and smell. The relationship between these senses, when combined with movement, is what helps your child to develop and grow on their own. And that’s what developmental therapy does, only in a clinic setting. Therapists use toys, games, and ‘play’ to help your child tap into instinctive resources to stimulate their developing mind. It’s an integrative therapy combining motor, language, social, emotional, and conceptual skills. How Can Developmental Therapy Help My Child? For a multitude of underlying reasons, some children are not able to fulfill their developmental movements in their early years. As a parent, I know how frustrating it can be to see these gaps, but it isn’t some sentence they must live out the rest of their lives. With proper training, parents can help their children fill these gaps and awaken their inner capacities, allowing their little bodies to take off on their own eventually. We all know that children love to move and play, and these motivations can be utilized to achieve their own developments. To do so, your child can work with a developmental movement therapist, or you can learn yourself to help your child through this unique modality. Note: Don’t let the word ‘movement’ throw you off. While developmental movement therapy is helpful for children with motor skills and movement issues, it’s also proven to be beneficial to children who exhibit signs of learning and behavioral disorders. 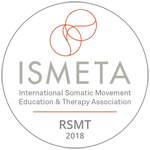 This type of movement therapy can foster greater self-awareness, effective social skills, coordination, neuromuscular re-education, and academic enhancement. If you found this blog by searching for keywords to help your child, you probably know that movement therapies are beneficial for all ages. Somatic therapy has proven to heal physical strain and stress patterns, resolve shock and trauma, and deepen a person’s creative life. You may have seen a massage therapist or chiropractor in the past for different aches, pains, or discomforts. There is nothing wrong with these types of therapies. However, they are more passive in nature. You lay on a table while the practitioner massages or performs an adjustment on you. There is nothing you actively need to do for yourself. And in most cases, you need to return for additional treatment. With somatic movement therapy, you actively help heal your own body. The therapy deepens your connection to your body through conscious movement, touch, and imagery. And best of all, you carry this work with you wherever you go! We invite you to visit the Whole Movement Center to join us for a private session or one of our day-long courses. We support individuals, families, and professionals who work in the fields of yoga, bodywork, psychology, and therapy. Want to learn how to offer Developmental Movement to your clients? Dig Deeper into your Learning! Join us June 20-24 for module two, an exciting training workshop where you’ll learn about Basic Neurocellular Patterns (BNP) in combination with the early psychological development of the prenate. When we work deeply, this type of developmental movement pattern has extensive application in areas of movement and psychophysical expression. When done in sequences, they can form the basis for a personal movement practice. There are applications for this healing movement in yoga, dance, sports, meditation, martial arts and prayer. I use the BNPs in every session as a way to assess a person’s current state. This is especially useful in children when they’ve been hospitalized early in their lives and they had restricted movement opportunities. Many of these movement patterns can help them reawaken and become aware of the space around them, relating also to the outer world and their boundaries. Developmental movement patterns have influence on our physical, perceptual, emotional, and cognitive functioning, and impact how we bond, learn, and organize information. This is one of my favorite modules to teach as it deals with embryological movement and embryological psychology. The richness and subtlety of movement is profoundly beautiful and not easy to put into words. Sign up and see for yourself how the simplicity of movement can lead to a life-changing experience. To register for the course, or to learn more, click here.